PCBAStore offers full Turn-Key and partial Turn-Key Circuit Board Assembly Services. We focus on both rigid and flex PCB assembly.Our experienced team and state-of-the-art assembly equipments enable us to meet all your PCBA needs under one roof in an inexpensive way, our Printed Circuits Boards Assembly Capability includes but not limited to what are listed below, as we are updating our equipments constantly to keep us on the cutting edge. We can bring you at comfortable area since the order passed to us, due to a one stop EMS solution working with you.If your PCB Assembly demands are beyond these capabilities, please contact us at SVC@PCBAStore.com, we will respond if we can do or not within 24 hours. We are proud of our quick turn time for our PCBA services. Our service ranges from 8-Hour to 48-Hour. Please choose appropriate time option to fit your schedule and budget. Due to the complexity of how to determine the turn time of PCBA services, our policy is that turn-time begins immediately after all the parts are ready and all the PCB files (Gerber files/other PCB files, etc.,) , Centroid (Pick & Place PNP file, or XY Data or files in other formats), BOM, and all other necessary data or documents/images/photos are complete for our assembly work. 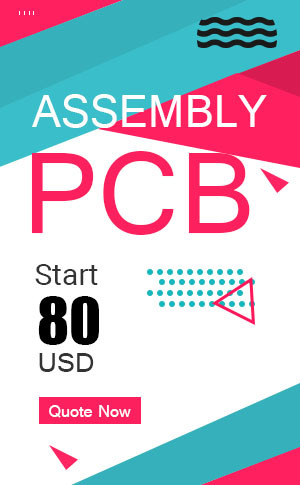 PCBAStore has a mature and effective components procurement systems serve the turn-key of PCB assembly with low cost, has a professional team responsible for our customer's PCB components procurement and management. Considering the big price gap between different suppliers, we only source from reliable suppliers who may have no price advantages. We will always ask for your approval before making any decisions. We prefer you supply all the parts for the printed circiut board assembly services. In this case, please send us all the parts with BOM file and detailed packing list indicating item number, customer or manufacturer’s part number and quantity in kit. We offer Surface Mount (SMT), Thru-Hole (THT) and hybrid of both. We also offer single or double-sided placement. We offer both leaded and lead-free (RoHS Compliant) assembly services for our customers. Please choose one to best fit your PCB and the parts on the PCB. We use laser cut stainless steel stencils to ensure high reliability for fine pitch and BGA components. Our minimum is as low as 1 pieces. But we recommend our customers purchase at least 3 prototypes for their own analysis and testing. • BGA: We have the ability to handle BGA of 0.25mm pitch with X-ray Inspection. • Fine Pitch Parts: we can assemble 0.25mm fine pitch parts. We accept parts in Reels, Cut Tape, Tube & Tray, Loose Parts and Bulk. We handles Rigid boards, Flex boards and rigid-flex boards. • Visual inspection: general quality check. • AOI: checks for solder paste, 0201 components,missing components and polarity. • Functional test : following your test procedures test functionality and performance to ensure alignment with expectations. Our BGA reballing service with which we can safely remove the misplaced BGA, reball it and put it back on the PCB correctly. It is cost-effective. We have capabilities of organizing incoming raw materials, process control, refined test to offer you best PCB assembly services in terms of small-to-large volume production quantities. During the course of PCB fitting, our engineers will report a DFM report if for defect in relation to PCB design and PCB manufacturing. • PCBs Online Quote: You can get a PC board price instantly after a few option selections. All PCBs will be electrically tested. Click PCB Quote Online to get a quote now. • PCB Assembly online Quote: This is also an instant quote. You can get the labour assembly cost in seconds. Click PCB Assembly Quote to get a quote now. • BOM Pricing: Send your BOM (Bill of Materials) to your sales rep email or SVC@PCBAStore.com, we will email you the BOM price within 24 hours. BOM must include the quantities, reference designators, and manufacturer name and manufacturer part number.